You have a classic stylish city apartment. This cute home has two bedrooms and one bathroom. You are within the Merivale village precinct with supermarket, restaurants, cafes and trendy shopping. Grab your coffee and talk to Martin at the Traiteur Deli about what you can have for dinner, or book yourself in for a meal at over 5 restaurants just over a minute’s walk away. Your living area has doors opening directly to a sunny courtyard and a brookside garden leading out to Mansfield Ave. There is 1 parking space in the adjacent carport. 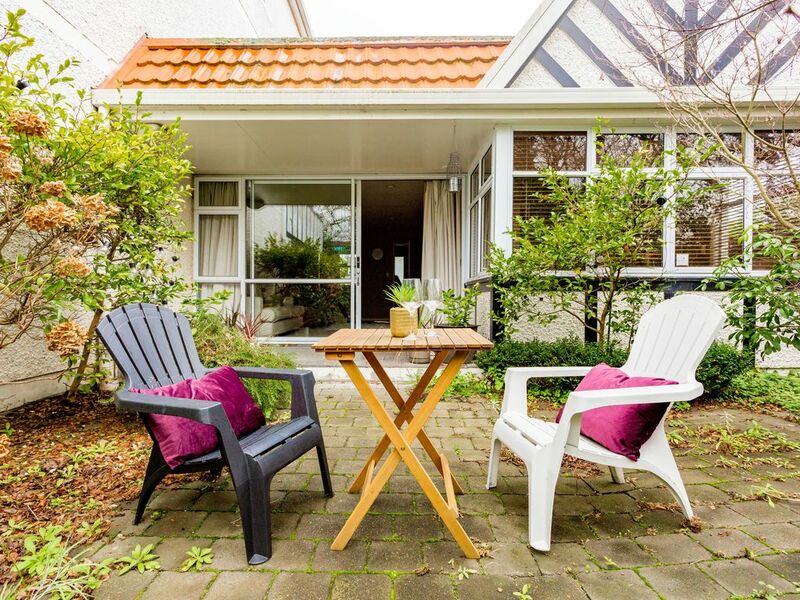 Just a couple of minutes’ drive to Hagley Park, Canterbury University and the central city.